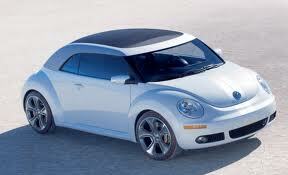 The new VW Beetle is a Beetle to remember. 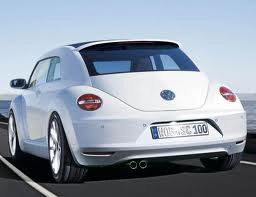 The stylish body is what the New Beetle should have looked like, but I don't think the public would have been ready....until now. This 2012 model so so much sportier, bigger, and faster than ever before. Packing a 2.0Turbo engine spinning the wheels with 200hp and just under 210tq, you still get great gas mileage at 30mpgs! You can also get the 2.5litre engine and a TDI engine but you won't have as much fun in it. New colors are coming, a Panoramic Sunroof that blocks 99% of bad sun rays, iPod hook up, more cargo room, a Design Trim and a Sport Trim.